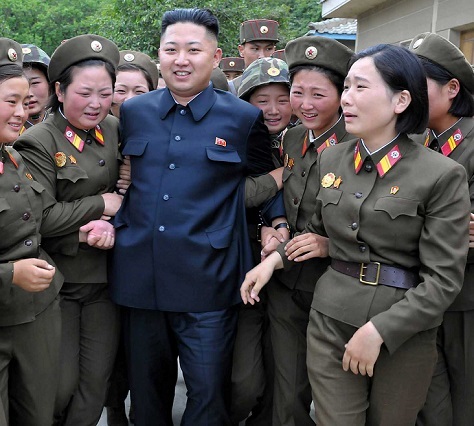 It’s possible that North Korea’s leader, Kim Jong-un, was temporarily removed from his position as the head of state of his country of 24.9 million during his 40-day absence from public view, which ended this week when North Korea’s news agency released photographs showing Kim on a ‘field guidance’ trip to a new residential complex. It’s possible that Kim was never more than a figurehead, with the real power lying inside the secretive Organization and Guidance Department and with the North Korean military forces. It’s possible that Kim is a figurehead, but his younger sister Kim Yo-jong is actually holding the true reigns of power. 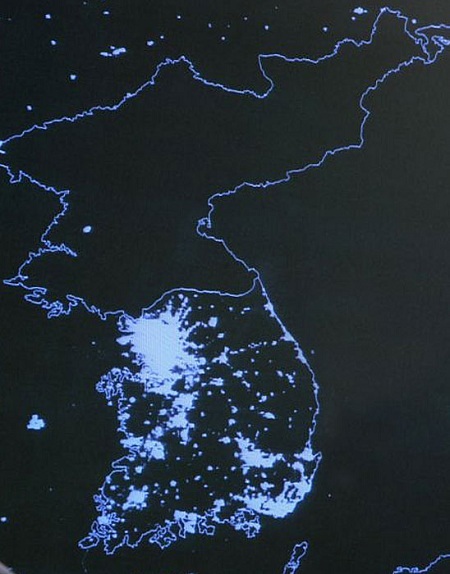 It’s possible, as Zachery Keck writes today in The Diplomat, that this entire saga shows that North Korea is becoming more transparent under Kim Jong-un. It’s possible that Kim wasn’t actually responsible for the purge of his powerful uncle, Jang Sung-taek, last December, along with several other top-ranking officials close to the rule of his father, Kim Jong-il. 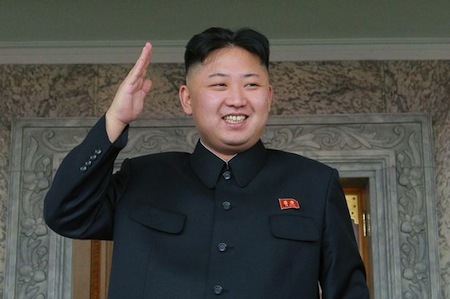 Instead, Kim’s enemies may have effected Jang’s execution to send the young Kim a message about who really controls the Democratic People’s Republic of Korea (DPRK). It’s possible that under Xi Jinping, the People’s Republic of China is weary of making excuses for a regime that much of the rest of the world disregards, except as a potential nuclear nuisance to be contained and otherwise isolated. It’s possible that the overweight Kim really was suffering from health problems that caused him to walk with a limp before his disappearance. That explains why, perhaps, he reappeared in photos earlier today, after a 40-day absence, using a cane, and following rumors that he suffered from an ankle injury and/or from gout. It’s possible that the photos released aren’t even from yesterday, but recycled from a previous event or doctored. In the depths of Kim’s disappearance, it was even possible that North Korea’s military leadership has staged a coup, and the high-profile trip by Hwang Pyong-so to Incheon for the Asian Games last week was the first step in what could be the process of reunification with South Korea. 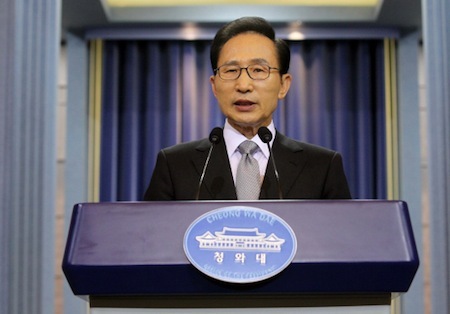 If and when South Korean reunification comes, it may come suddenly and unexpectedly. 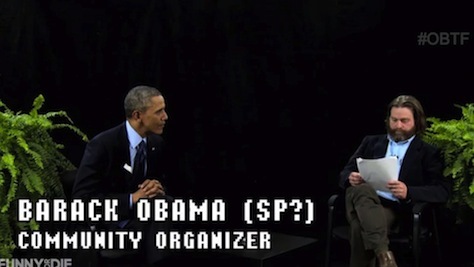 If you woke up this morning to the ‘leader of the free world’ doing an interview with Zach Galifianakis, immediately scratched your head and wondered whether you could be trusted to read anything before coffee, you weren’t alone. When I first saw it, I thought it was a joke — surely this was Galifianakis somehow video-shopping the president of the United States into a forum that’s otherwise reserved for the likes of spanking Justin Bieber. ‘Everybody votes in agreement!’ But why does North Korea bother? There’s no country on the planet more autarkic or isolated than the Democratic People’s Republic of Korea. Last year, when Kim Jong-un decided to show that he was in charge, he executed his own uncle, Jang Song Thaek, who had been a top advisor to Kim’s father, Kim Jong-il. 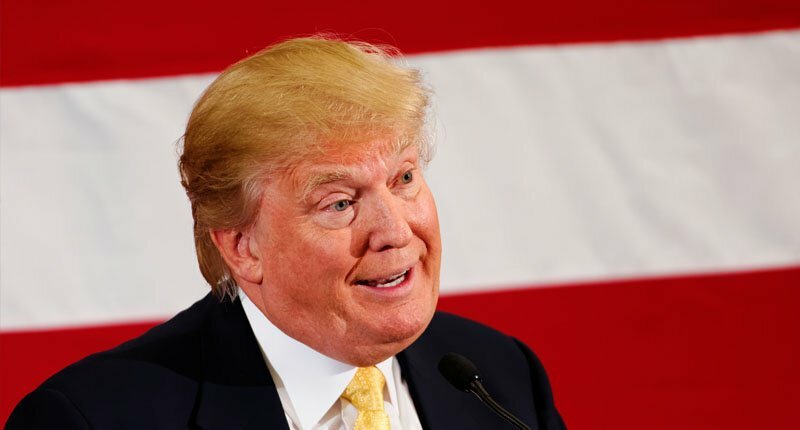 There’s no question that Dear Leader is running North Korea, however poorly he may be running it — it has a GDP of around $40 billion while South Korea has a GDP of $1.130 trillion. 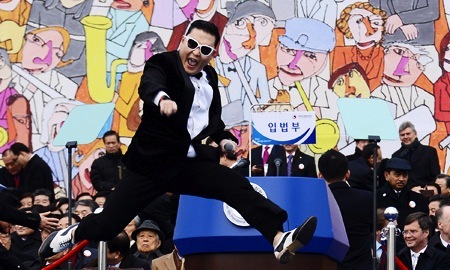 Kim himself is standing in constituency #111 — an auspicious number! 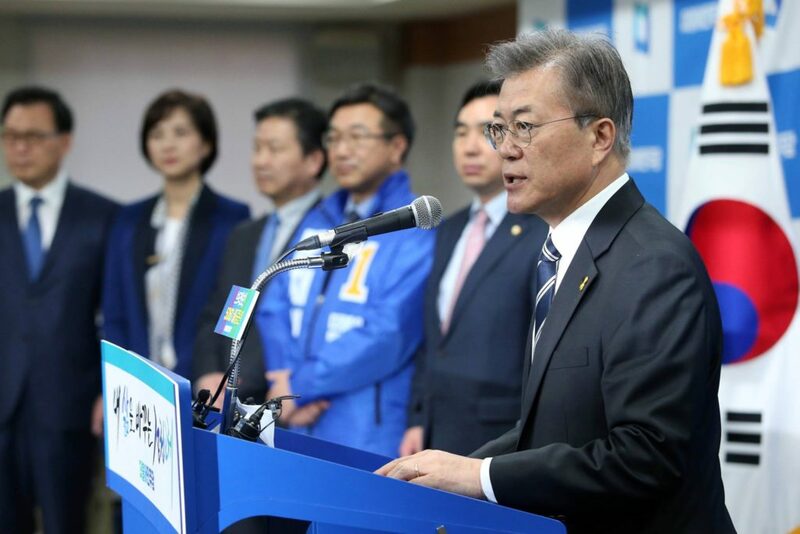 He will represent Mount Paekdu — how sacred! The Supreme People’s Assembly is certainly not the fount of power in North Korea; instead, it’s a rubber-stamp parliament that rarely even convenes. Given the nature of power and government in North Korea, what could Kim possibly gain out of the expense and hassle of staging she elections? It’s not to gain a democratic mandate, because there’s no opposition (and there’s no way for North Korean voters to vote in secret against the government’s candidate). The elections are such a sham that they certainly aren’t being staged for showing the world that North Korea is acceding to the mechanisms of democratic legitimacy. I haven’t even listed North Korea’s election s on the 2014 electoral calendar because they so comically fall below the standards of anything we understand to be a valid election. In contrast, elections for the Politburo Standing Committee of the Chinese Communist Party (中国共产党) in neighboring China seem like bona fide exercises in civic duty. There are few world relationships trickier than the politics between North Korea and South Korea. North Korea has announced its intention to launch a satellite and long-range rocket into orbit between April 12 and 16 in honor of Kim Il-Sung. 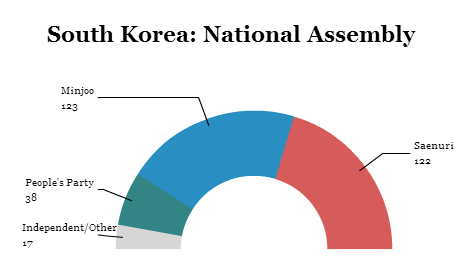 North Korea is not being shy about its hope that President Lee Myung-bak’s Saenuri Party (새누리당 or the ‘Saenuri-dang’) loses next Wednesday’s legislative elections. 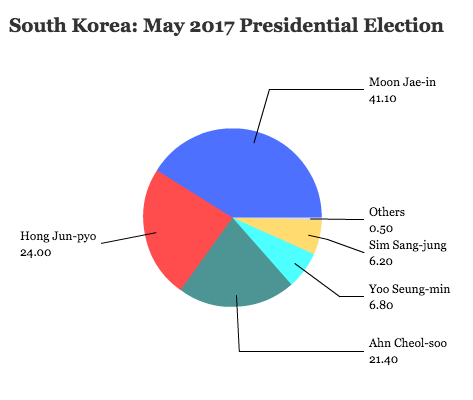 It is difficult to know just what impact the North Korean issue will have on the election, the main focus of which has been the South Korean economy. 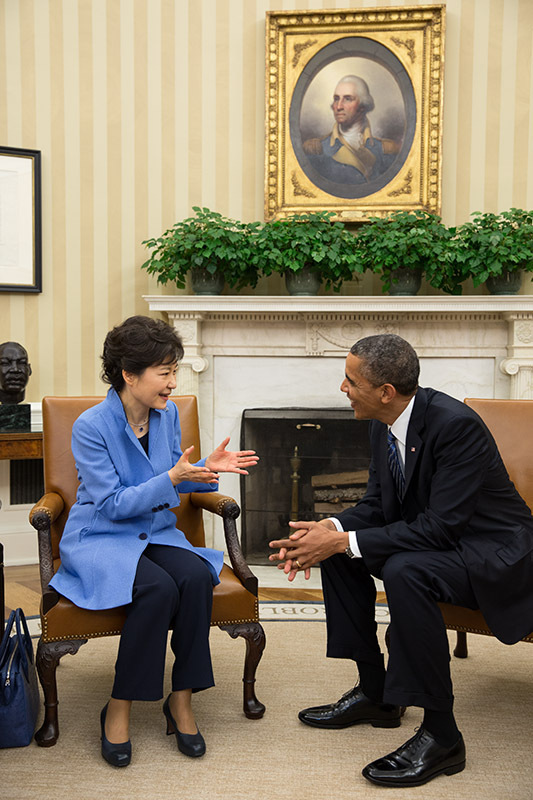 Lee has reversed the “sunshine policy” of his predecessors that marked the 2000s, where South Korea pushed comparatively more aid to North Korea — instead, he has taken a harder-line stance against Pyongyang. 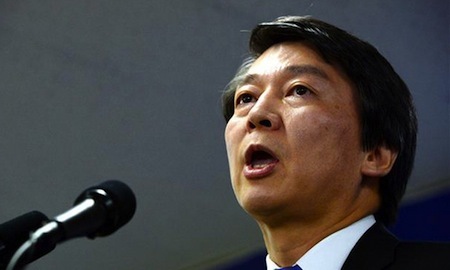 At the same time, Cho Myung-chul, who defected from the North in 1994, is running on the Saenuri Party ticket to become the first defector to stand in the South Korean parliament. “A dictator’s bloodline cannot change away from its viciousness…all walks of life in the South must not be deceived by Park and her clique, and must judge the conservative traitors through the elections,” it said. 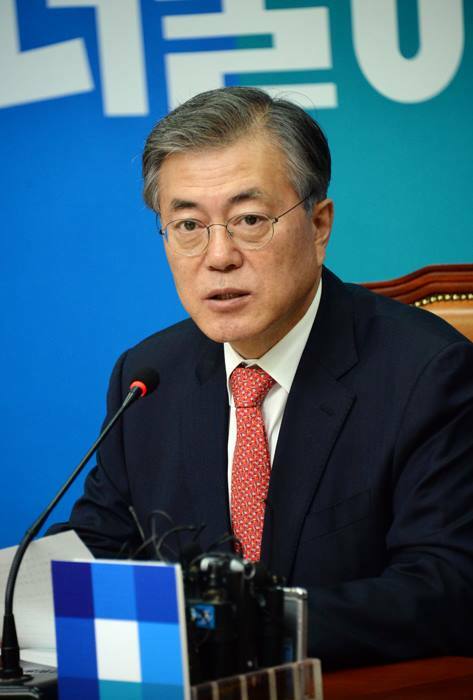 “We, along with all the Korean people, will never allow the ghosts of the dictatorship to make a comeback,” it said in a statement carried by the official news agency. 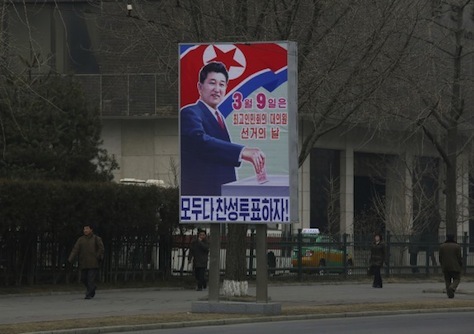 The North Korean government newspaper christened Park as a “Judas” with an “unlimited greed for power”. 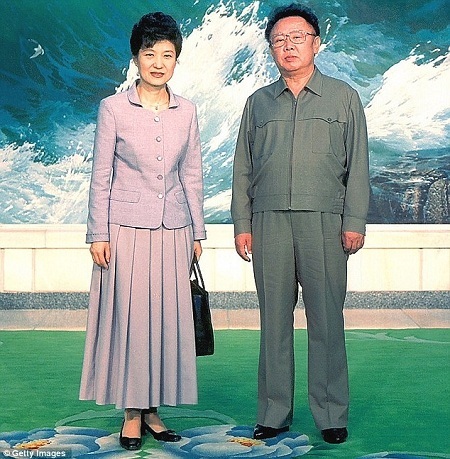 Park met North Korea’s leader, the late Kim Jong-il, in Pyongyang in 2002 — they are pictured above in, um, happier times. Kim died in December 2011 and his son, Kim Jong-un, has succeeded him, although the extent of Kim Jong-un’s power and the direction he’ll try to take North Korea remains murky. 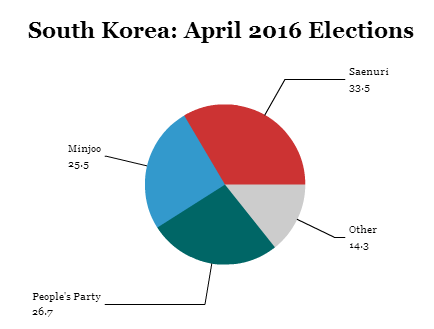 The latest poll from Realmeter, conducted from March 27 to 30, shows the Saenuri Party with a slight uptick in support at 39.8%. 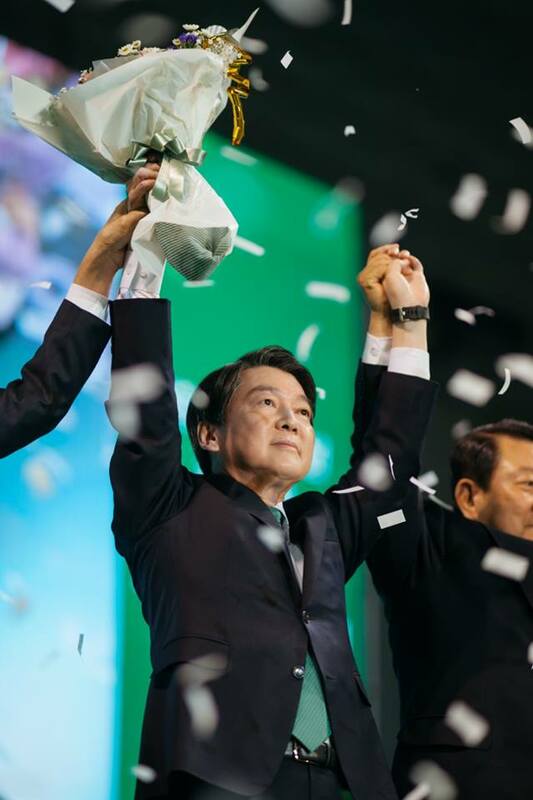 The chief opposition party, the Democratic United Party (민주통합당, or the ‘Minju Tonghap-dang’) garners 30.5% and its coalition partner, the Unified Progressive Party wins 8.1%.